In the background Gradle is all Groovy. So if you are aware of groovy writing tasks in gradle is no big deal. Make sure you have JDK configured and gradle installed. Hope you got the idea. Configuration and Execution phases are what we are going to concentrate on. Lets first see how to write dependents Tasks in gradle. Create a file build.gradle and copy following code in it. The '<<' symbol you see is just a shortcut to execute thing is Execution phase. This defines a task called A with a single closure to execute. Ok now lets come to the intended purpose of this post which is - how to skip tasks. Goal : Goal is to skip task A and all subsequent tasks that A depends on. Lets say we decide this with a property that we provide to gradle from commandline. Lets call it 'skipA'. If 'skipA' is provided in command line arguments we do not execute any task. For this lets use onlyIf first. Lets analyze what happened here.Yes Task A was skipped as we intended but what about other tasks they were run. Don't argue that you can put onlyIf and condition in all tasks :) you are smarter than that! Note : One important point to note is onlyIf is executed during execution phase and by that time gradle has figured out what all tasks it needs to run. Skipping a single task will not skip the task the skipped task depends on. We need to add skipping logic in configuration phase. There is another way to do this and that is to set enabled = false; inside a task. This will skip the given task. Also we need two other things. Implement skipping logic in Configuration phase. Yes we got what we wanted. Now lets see how we did it. First of all see the if statement in task A. It is outside any doFirst() or doLast() method. This ensures it will be run in configuration phase. Then we checked out condition. If it is true then we set enabled = false for the task. This will skip task A. To stop other tasks from running that A depends on we removed all those tasks by saying dependsOn = ; Again note this worked because we did it in configuration phase. In Java 7 new feature was introduced - try-with-resources statement where resources will be autoclosed. We will come to that. But this feature introduced another important topic and that is suppressed Exceptions and that is what we will discuss in this post. Where did the NPE thrown from try block go ? Well it was lost or ignored. One dirty way to retain the cause Exception is to chain it. To summarize what above part says is that exception thrown from finally block eats up the exception that might have been thrown from try block. Now lets head over to Java 7 try-with-resource statement to see what it has for us. Hope you are aware what try-with-resource statements are. 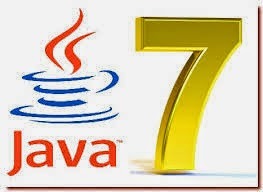 If not please first go through try-with-resource section of Whats new in Java7 post. As you know resource that can be used in try-with-resource statement needs to implement Closable or AutoClosable interface. Lets define one such resource. Ok we have our resource. Lets go ahead and test it out. meaning try block was not executed. That's right if exception is thrown while creating resources in try-with-resource block try block is not even executed. Don't even bother thinking about closing resource as it was not created in the first place. This case is a little tricky. When I say Exception is thrown from try-with-resource block it mean exception is thrown during closing of resources. If exception occurs while instantiating resource it will fall under case1. So Exception is thrown while closing resource (which occurs as a part of try-with-resource statement) and exception is also thrown from try block. This is non - defective constructor. Now lets analyze the code. You can see "In testSuppressException" in the output that means instantiating went through. process() method must have thrown Exception and close() method would have too. But we see only Exception thrown by process() method. Hope it's clear now that Exception from try block suppressed Exception that occurred from closing resource in try-with-resource statement. I will go 2 step ahead and tell you this. Try-with-resource create an implicit finally statement and tries to close resources in it. and this exception is suppressed by exception from try block. Note: A try-with-resources statement can have catch and finally blocks just like an ordinary try statement. In a try-with-resources statement, any catch or finally block is run after the resources declared have been closed. That means if you provide an explicit finally statement that's ok but resources will be closed before this executed. Meaning the implicit finally block I was talking about will be completed before this. And this brings me to 3rd case. Lets go step by step. Resource instantiation went through. Exception is thrown from try block and then while closing (from implicit finally block if you are imagining that way). So far as per above case exception from try block takes precedence and suppressed exception occurring from close() in try-with-resource statement. But when explicit finally block is executed it again ignores all these exceptions and throws it's own (similar to Java 6 example at the top). Also if exception was thrown while creating/instantiating resources as in case 1 then try block will not be executed and again exception from explicit finally block would override this. Bottom line : If your explicit finally block throws Exception all your previous exceptions are eaten up. Important point of this post was to explain that the Exception from close() is suppressed by Exception from try block. Note : The close methods of resources are called in the opposite order of their creation. There are n events. Each has a start time and end time. You wish to attend maximum of such events. NOTE:If start time of one event is same as end time of other you cannot attend both. You can imagine some time to travel from event1 to event2. The first line will contain an integer T, denoting the number of test cases. Each test case contains several lines. The first line of each test case will contain an integer N, denoting the number of events. The next N lines, one for each event, contain two space separated integers, starttime and endtime. For each test case, output a single integer denoting the maximal number of events that you can attend. First we sort the events based on the finish time because we want to attend earliest events first. Now if end times if two events are same we can attend either. So we don't bother about it. On sorting such events can have sequential positioning (one after the other) in either way. Next we start from first event in sorted events list. We can only attend next event if it's start time is greater (mind even equals will not work as we have to consider commute delay) than the end time of current event. Current event is tracked with i variable where as next event is tracked with j. You can't kill the app in the foreground (your App) by this. You need to finish(). Also note this is for API 8 and above and needs permission KILL_BACKGROUND_PROCESSES. Note : You should put a return statement after that finish, because the method that called finish will be executed completely otherwise. Note : these manages will not be available before onCreate() method. Also recollect these managers form second layer of Android architecture after application layer. These managers talk to the kernel layer using native libraries and android runtime. Note : This requires API level 11 or above. When you application needs to save some persistent data you should always do it in onPause() methods. Because if android OS kills your process then onStop() and onDestroy() methods are never called. startActivityForResult(Intent, int) [Start new Activity expecting some result from new activity to be sent to the activity from which new activity was started]. You can also send some extra information in the intent using Intent classes putExtra() method. Later you can reference the intent that started the new activity in the new activity as getIntent() and then retrieve the additional information as getStringExtra(). Note: PendingIntent is a special type of intent that allows 3rd party code (in this case Notification Manager) to execute application code with the same permission as the application. When you click on above notification browser should open and display google.com. PS : This list will keep updating. If you want me to add something in above list please provide it in the comments. So lets see the difference. Android has Linux kernel. So process is similar to processes in Linux. Each process can have multiple threads. When a process starts it is single thread execution by default. This thread is called the main thread or UI thread. You may have other worker or asynchronous threads running in a process. Task or Application on the other hand can be visualized as set of activities in an application. It is possible that each activity in the task is configured to run in different processes. Same goes for other entitles of Android - services, providers etc. Infact components of different tasks/applications can run in same process (provided that the applications share the same Linux user ID and are signed with the same certificates). When System memory is low of running application an older process is killed. Again note this may have components of different application. Above will give you Running tasks or rather lets call it application consisting of set of activities. (List of RunningTaskInfo objects). This in turn will have two main things. uid : The user id of this process. pkgList : All packages that have been loaded into the process. In above code we are essentially getting information about all running processes. Then with the help of process name of each such process we are getting corresponding application package. First of all you need to understand what you can kill and what not. By android's point of view an application is not like other OSes. An android application consists of many components (activities, broadcast receivers, services, most important tasks etc) which are packed in a package. A package can have more that one processes running depending on its components running. Now the interesting part is that an android package isn't considered (by android) "killed" or "stopped" if any or all of its processes have killed, in fact a package can still running even with no processes running at all. You can see this effect if you start an emulator start a program (i.e. Browser) and then kill its process via DDMS, after that go to the application's package settings (Settings --> Applications --> Manage Applications --> All --> Browser), you can see the "Force Stop" button enabled, this means that the application is still running (from android's point of view). What happened here is that the application has one or more tasks "frozen". 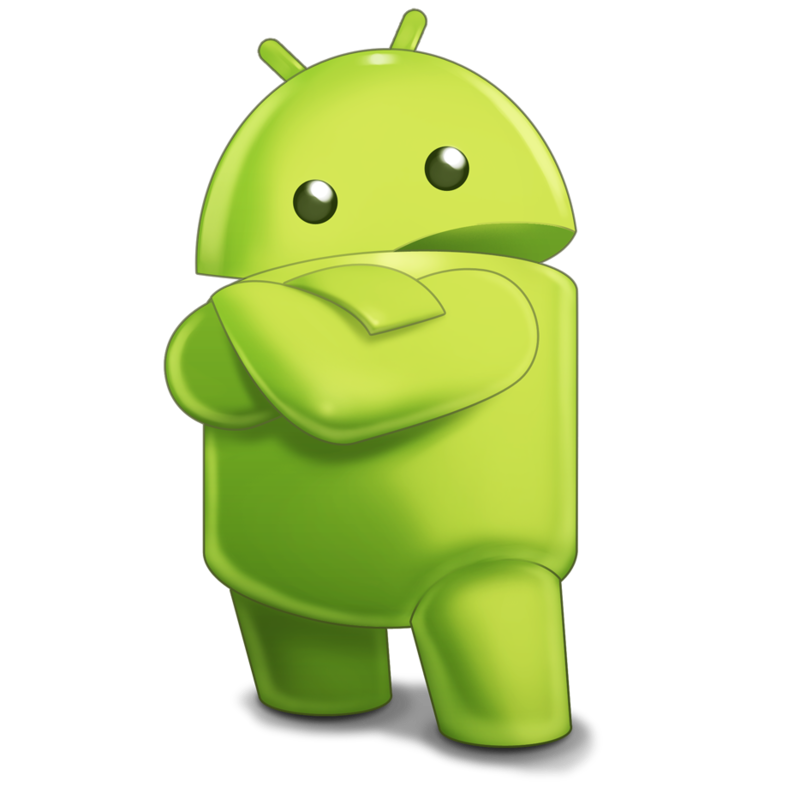 That is, android has saved the state of the application's activities (task or tasks) and so the package is still running or better if the user returns to it he will land on the last thing he was doing. Now if you click the "Force Stop" button, android will discard all of these "frozen" tasks and when the user returns to the application he will see the first activity. You have the "android.permission.KILL_BACKGROUND_PROCESSES" permission. The processes are not system or root processes. The process is not belonging to a component which is persistent. The process is not a critical for the system to operate by any other means. Besides the no 1 rule you do not have to do something about them, android will take care of this. ActivityManager has a handy function you can use in order to kill all of the processes a package has at once. When you invoke it android will kill any process can be killed and thus freeing up some memory. However the state of the tasks for this package will be saved and when the user returns to the application he will see the last thing he was doing unless the system itself has killed them. This can occur either because it needs resources or the state was saved long time ago (about 30 minutes). The side-effect is that because users are thinking that all applications are like in desktop operating systems, they do not believe that the application is really closed but this is the life with android. Same goes for Collections as well. But that is for simple numbers. How do we sort complex custom Objects. For example lets say you have Student Objects and you need to sort them on the basis of their age or some other scenario may require them to be sorted alphabetically by name. In this post we will see exactly how to do this. Lets create our Student class first. What is the natural ordering ? The answer will vary depending on the scenario for which you are writing your code. In this scenario we will take age as natural ordering criteria. Why did we answer above question ? Because it is the basis of the title of this post - Difference between Comparator and Comparable in Java. Implementing Comparable means "I can compare myself with another object." This is typically useful when there's a single natural default comparison. Implementing Comparator means "I can compare two other objects." This is typically useful when there are multiple ways of comparing two instances of a type - e.g. you could compare people by age, name etc. In our case we decided age will be our natural ordering. So we will handle age comparison in Comparable interface where as handle name in Comparator. Note : Both Comparator and Comparable are interfaces. You need to implement them. Your model class which needs to be naturally ordered implements Comparable interface where as you need to create a separate class that implements Comparator to handle non natural ordering. When you call methods like sort we need to supply instance of this class that implemented Comparator interface. Comparable interface is in package java.lang whereas Comparator interface is in java.util package. Also when you implement Comparable interface you override a.compareTo(b) method where as in case of Comparator you override compare(a, b). Don't worry about the technicality. We will see this with example. As I mentioned earlier with reference to our Student object I am going to use age as natural ordering criteria. Lets rewrite our Student class which will now implement Comparable interface. That's how natural ordering/comparable interface work. Now lets move on to comparator interface. Logic in compare() method that we override on implementing Comparator interface is same as compareTo() method that we override on implementing Comparable interface. Notice how we just gave the array to sort in Arrays.sort() in natural sorting where as we gave the comparator with custom ordering logic as a separate argument to sort method. Hope this clarifies the difference. Let me know if you still have any doubts or questions. With introduction of function interface and Lambda expressions in Java 8 there are changes made in comparable and comparator interfaces as well. Both comparable and comparator interfaces are functional interfaces. Just to remind you interfaces can now also have static methods and they do not affect the functional status of an interface. Sure that works out but there is a smarter way. One that Java 8 provides. Well see that now. NOTE : comparing static method - Accepts a function that extracts a Comparable sort key from a type T, and returns a Comparator<T> that compares by that sort key. When should a class be Comparable and/or Comparator? What is the difference between compare() and compareTo()? It serves the purpose. But it does not stop user from entering Lion, Tiger does it ? Program would fall back to default saying we do not provide other pet Animals. But Lion, Tiger are not pet in the first place. One way to restrict user input is declaring an Enum. Lets come to that. Now you have successfully restricted user from entering one of the three allowed values. That is not it Enums has other advantages too.Lets come to those. Lets say you also need to store the number of available pet of each category. You can store that in enum too. 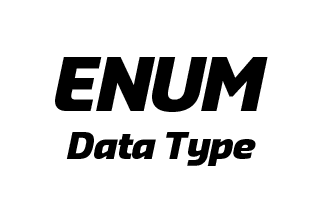 Each enum value can have multiple attributes. Note : When you say DOGS(10), corresponding constructor is called i.e PetTypes(10). Enums are implicitly private, static and final. Each declared enum implicitly inherits java.lang.Enum. You can use valueOf() and name() methods on enums. You can compare enums with == operator. You cannot use new operator on enums. Not even inside enum definition. Outside you cannot because constructor is implicitly private. Enums cannot be local meaning you cannot declare them inside a method. They should be declared and defines inside of a top level class or an interface. code. The String passed in must match exactly, though. NOTE : The final clone method in Enum ensures that enum constants can never be cloned, and the special treatment by the serialization mechanism ensures that duplicate instances are never created as a result of deserialization. Reflective instantiation of enum types is prohibited. Together, these four things ensure that no instances of an enum type exist beyond those defined by the enum constants. NOTE : Another thing that you can’t do is extend an enum. The values in an enum are all that are allowed. You cannot add more at runtime by extending the enum. This will give compilation error. If you have anything more than enum declarations you need to add a semicolon. Also as stated earlier enums should be the 1st thing in the enum structure. the code and should not be used for comparison. What would be the output ? Will solve the mystery in a minute :). Lets get our basics clear first and then there would be no need for me to go ahead and explain the outputs. The methods you see have same name, return type but different types of arguments. This is called method overloading. 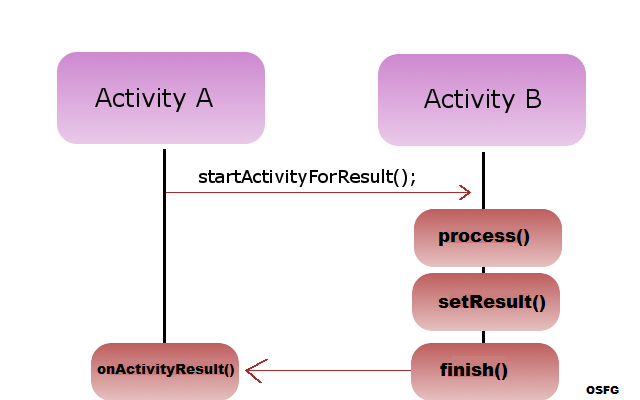 For more details refer Overriding Methods in Java - How it works? Next we are calling methods some of which that do not exactly match the ones which are defined. Like calling execute() with byte 3. There is no method which takes byte as argument. But there is short, int and even Object argument methods that are compatible. Note the word "compatible" but only one is chosen from it - and we saw it was short in this case. Java as all programming languages has rules which dictates these things which is exactly what we will see in some time. Java Compiler always tries to choose the most specific method available with least number of modifications to the arguments. Next point is about Boxing / Unboxing. Java developers wanted the old code to work exactly the same a sit used to work before boxing / unboxing. Widening (size wise)[Minimum first] > Boxing/Unboxing > variable arguments. byte: The byte data type is an 8-bit signed two's complement integer. short: The short data type is a 16-bit signed two's complement integer. int: By default, the int data type is a 32-bit signed two's complement integer. long: The long data type is a 64-bit two's complement integer. float: The float data type is a single-precision 32-bit IEEE 754 floating point. double: The double data type is a double-precision 64-bit IEEE 754 floating point. boolean: The boolean data type has only two possible values: true and false. char: The char data type is a single 16-bit Unicode character. Now give the question in backgrounds section another try. With above rules in mind lets try to solve the question posted at the top of this post. As per above rule most preferred was would be widening. There are two options here. Widen byte (8bit) to a short (16 bit) or an int (32 bit). Widening with lowest size is preferred (which is short in this case) and hence we got short printed. and is a direct call as we have execute method with int parameter. So int is printed. Since we do not have a method with Integer as argument we will go for next best case and that is polymorphic superclass. Object is superclass of all objects implicitly. So we get object printed. Again we have execute method with String which is chosen here. Again straight forward. Hope this clarifies all doubts regarding our original question. Note : Java Compilation will fail if there are no matches or ambiguous matches for a function call. In this post we will see how we can run any process from java programmatically. In specific I will show how can we compile a java file from a Java process. We can very well use Runtime.getRuntime().exec() method to start the process but in this post I am going to demonstrate using ProcessBuilder class. Note1 : In above code I am only printing the error stream of the process but you can manipulate the output stream as well as provide input stream to the process. Note 2: You can also see my previous post on how to get the java executable paths. You can programmatically derive those and use it in above code. You can use this to start another Java process from you running Java program. I am running Windows. The output that I get is 'C:\Program Files (x86)\Java\jdk1.7.0_55'. Code is same for Linux as well. You will get your Java directory.